The newly released app, Chifro ABC: A Kids Alphabet Game teaches babies, toddlers, kids and children 2 to 4 years of age the English alphabet. The concept is easy; all 26 letters of the alphabet are described using picture puzzles coupled with animations and voice-overs. The voice-overs explain the actions taking place on the screen and provides instructions on how to use the application. We believe that this new app is clearly an unique and interactive way for young children to learn capital and small letter writing strokes. Chifro has mastered the art of engaging children by simply having them trace and paint letters with their finger using different colors and textures. Having funny high quality characters and numerous easy-to-solve puzzles, is an added feature that entertains kids for hours. It’s simple to say that this highly interactive interface with large easy-to-identify icons, leads to learning being easier for children. Chifro makes education extremely visual, leading to the improvement of the learning process, that goes into the ABC’s. 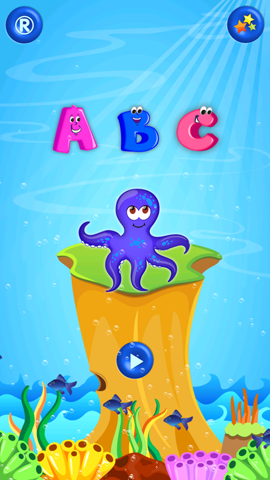 We render Chifro ABC: Kids Alphabet Game as a unique and effective learning tool for children. Now live in the App Store get it today!